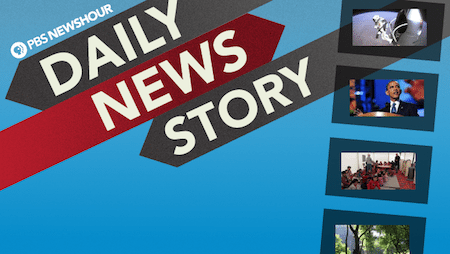 The Daily News Story takes the best of the PBS NewsHour news program and pairs it with discussion questions, lesson plans and stories developed specifically for students. In partnership with PBS LearningMedia, this respected, in-depth programs creates a collection that helps teachers and students identify the who, what, when, where and why-it-matters of major national and international news stories. Lesson plans and resources help achieve Common Core State Standards goals and cover core academic subject areas ranging from civics and government to world affairs and education. Engage your students today with This Week’s News. What a great way to keep up to date on important matters local and national. Thank you for sharing, Bess!